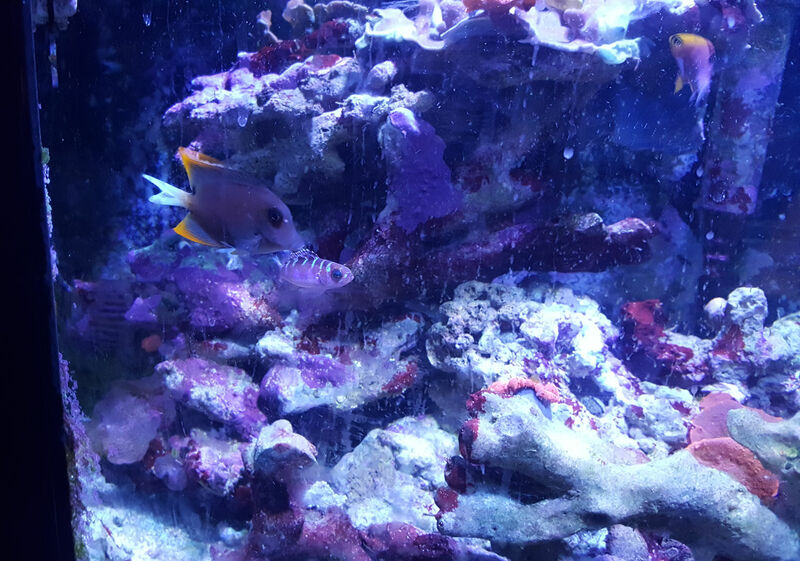 Picked up a Chalk Bass, Tomini Tang and a Talbot Damsel currently in quarantine. Moved all the corals in and slowly acclimating them to the new lights. So far they seem ok! Also moved in my previous fish, a Clown and an Azure Damsel. Will post more once I get thru all the uglyness of a new tank. Looks good. Bleaching the rocks was a wise move. Stand looks solid. I used one of those hanging shop lights a few years ago, keep an eye on corrosion, especially in the non aluminium parts. It's one of those reptile lights. I just took the metal reflector off and left the ceramic socket. I hope it lasts for a year or so. Don't know how well this setup is going to work yet so it might get pulled sooner for something better built for growing algae. Rearranged sump. Changed to a Sock Filter instead of floss in media chamber of sump. 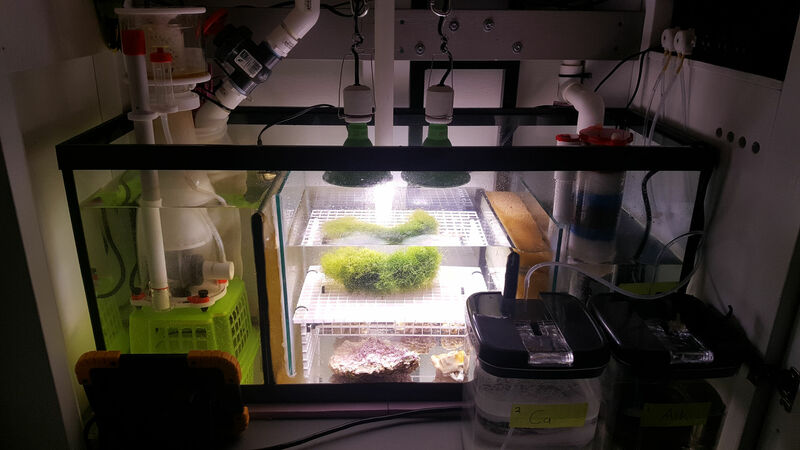 Changed to a smaller CoralBox Reactor instead of the oversized Aquamaxx to save room. Added a second Feit PAR grow bulb and discontinued the CAT light for the time being. Added a tray to keep Chaeto closer to the lights. Still need to make a proper sized stand for the skimmer so I can move the reactor into the same chamber....for now its with the return pump. I am really digging this build. Thanks for sharing. 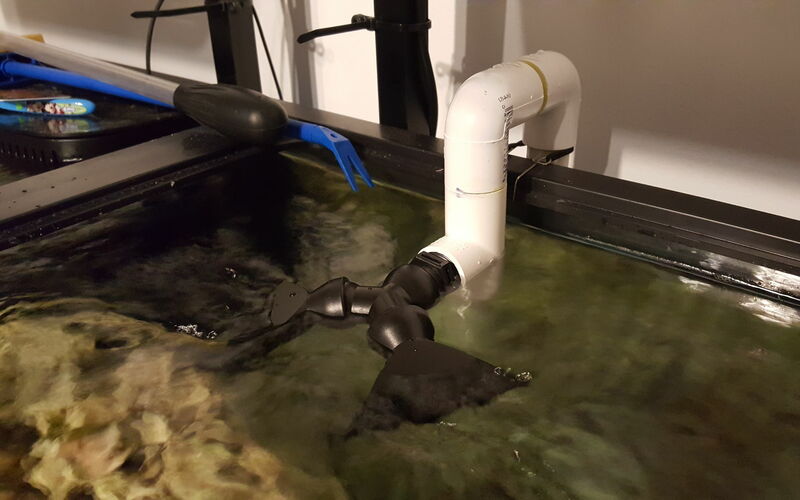 With this tank I am going to attempt to severely cut water changes with a combination of strategies using Chaeto, GFO and NO3:PO4-X to control nitrates and phosphates. These will be put in place and tuned as needed. 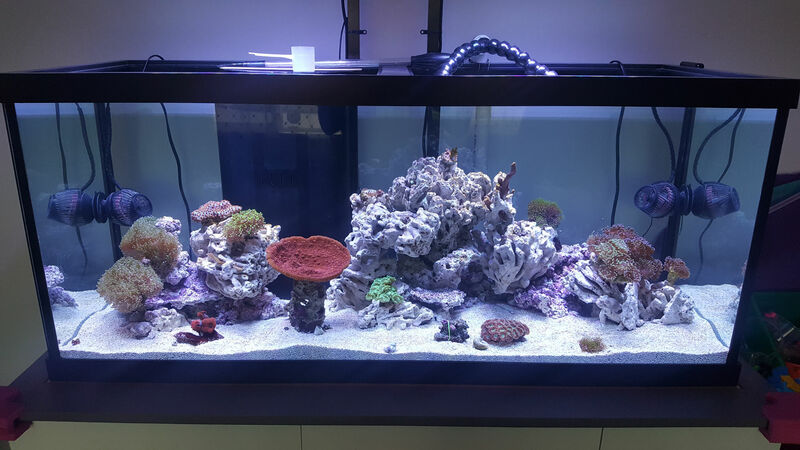 I will be dosing Trace Elements with Red Sea Coral Colors. I needed to figure out how much trace elements to dose. I use Reef Crest 2 Part System so I though I'd come up with a number to easily work this out for myself and anybody else who may use Reef Crest and be interested in using RedSea Coral Colors. So far this is what I have come up with. If you see anything wrong with my math, let me know! The instructions on the RedSea containers say use 1mL of additive for every 20ppm Calcium added per 100L when using 3rd party products. First off, I got a number of http://reef.diesyst.com Reef Calculator that ~0.0139g of Calcium Chloride to increase 1 gallon of water by 1ppm. A bag of Reef Crest Part A Calcium contains 400g of Calcium Chloride. 26.4172 Gallons * 20ppm = 528.34ppm if the volume was of water is 1 gallon. Therefore if my calculations are correct, for every 69.5mL of Calcium dosed, you must add 1mL of the RedSea Coral Coral Additives when using the Reef Crest 2 Part System. Ooh I just bought the Red Sea trace elements on Black Friday but haven’t started yet (mostly because I was too lazy to figure it out). I’m sure your math is better than mine. Ugh...was interested in the Red Sea coral colours however my math is no where near yours to figure this out. I also use the reefcrest 2 part! Following along. Added a Tyree Toadstool I got from a fellow reefer. 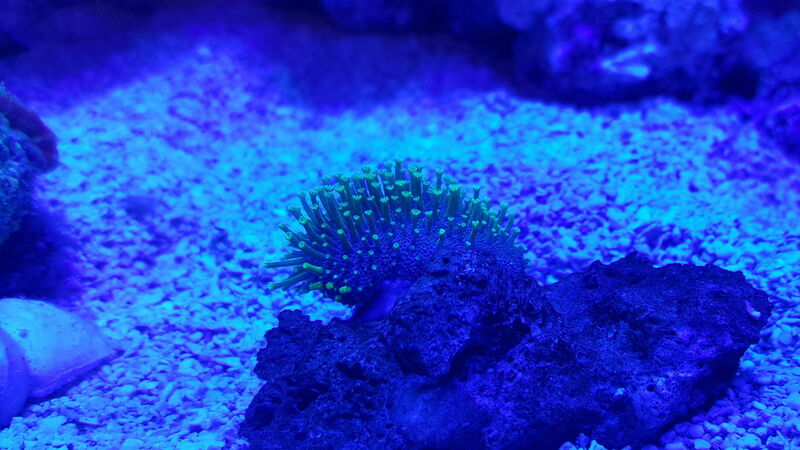 Polyps came out after day of moodiness. Changed return. Removed some Loc-line and put outlet directly into water. Planning to make a screen lid so this will be easier to work with. Looks cleaner in my opinion as well.